Chitralahari has made decent collection at the worldwide box office in the first weekend. The Sai Dharam Tej (SDT) starrer surpassed Rs 15 crore gross mark in the global market in three days. Chitralahari concluded the first weekend with decent collection at the worldwide box office. The Sai Dharam Tej (SDT) starrer surpassed Rs 15 crore gross mark in the global market in three days. 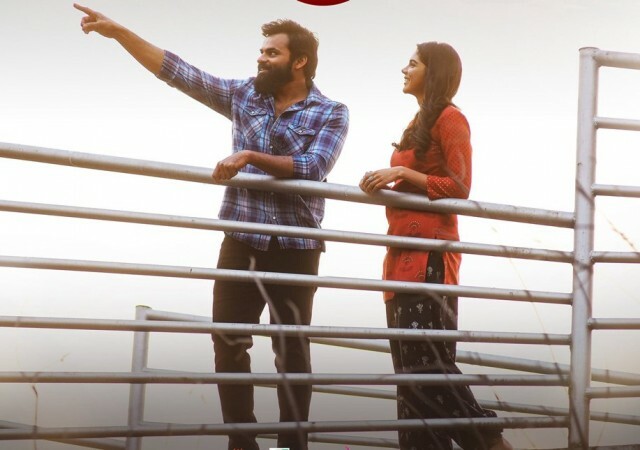 The promos of Chitralahari had generated a lot of expectations and curiosity about the film. The hype helped it register good advance booking and get a decent opening on April 12. The movie collected Rs 6.60 crore gross at the worldwide box office on the first day. Chitralahari shattered the opening day records of Tej I Love you (Rs 3.50 crore gross), Inttelligent (Rs 4 crore gross), Subramanyam For Sale (Rs 5.45 crore gross), Jawaan (Rs 6.10 crore gross) and Supreme (Rs 6.50 crore gross). The movie became the second biggest opener for Sai Dharam Tej after Winner (Rs 9 crore gross). The Kishore Tirumala-directed romance drama struck a chord with the audience and the word of mouth helped it fare well at the ticket counters on the following days. Chitralahari collected Rs 18.45 crore gross at the worldwide box office in the first weekend. The film shattered the records of Supreme (Rs 15.30 crore gross), Winner (Rs 16.30 crore gross) and Subramanyam for Sale (Rs 17.76 crore gross). Overall, Chitralahari had a decent opening weekend, earning Rs 10.12 crore for its distributors, who invested Rs 14 crore on its global theatrical rights. With 72.28 percent recovery, the movie needs to fetch another Rs 4 crore for them. The film is likely to brea keven within the first week in all the areas. Sai Dharam Tej is a young hero from the mega family. Like other members in the family, he also tried some mass masala entertainers, but could not taste success at the box office. After delivering a series of flops, he realised that he should stop doing commercial films and experiment with roles and stories. Chitralahari is his first attempt in that direction and he seems to have succeeded in this. Here are the prices of the theatrical rights and area-wise earnings of Chitralahari. These numbers are based on different sources and they may not match with the actual ones. All the figures are in rupees and crore.